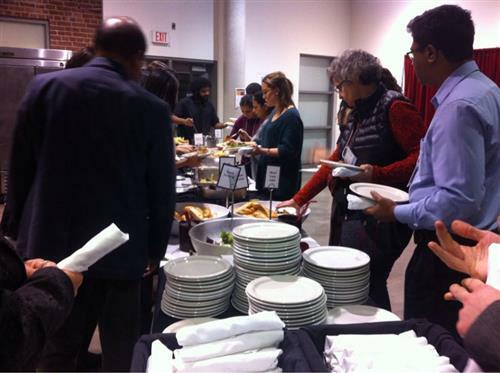 Follow along as we detail the first-ever global health conference held at Ryerson. Dinner is served, buffet style. Angel Wang lets everyone know that we will be resuming the conference in five minutes. Shafi Bhuiyan takes the podium. Angel Wang introduces our second speaker Shafi Bhuiyan, who was responsible for recommending many of the guests that are here today. Today he will speak about the Maternal and Child Health Handbook for woman empowerment and contunuity of maternal, newborn and child health care. The Maternal and Child Health (MCH) Handbook is a book that contains essential information, kept by the family to promote and maintain the health of mothers and children. Bhuiyan explains how this is a "great passion" of his. 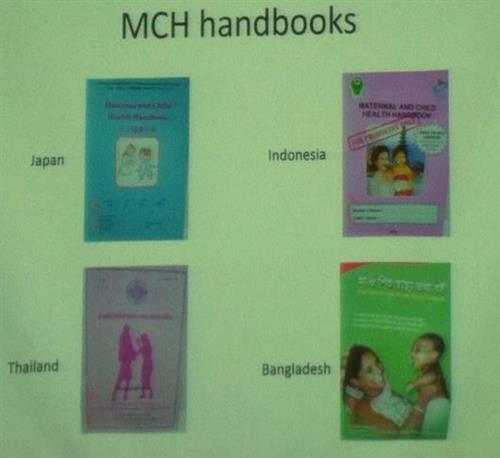 The MCH handbooks are available in Japan, Indonesia, Thailand and Bangladesh. 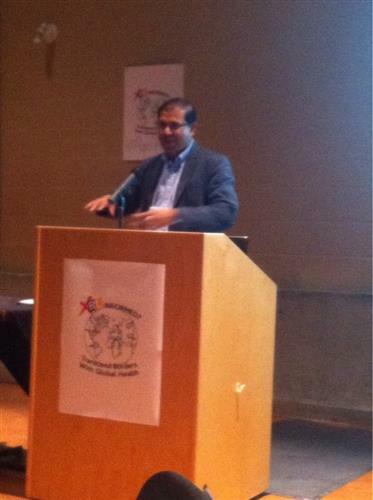 Bhuiyan explains that healthcare workers often have a hard time communicating health information to others. The different MCH handbooks available. Bhuiyan explains how the idea of MCH handbooks came about, when he was out on missions in Japan (which was the most devastated country after World War II). This quickly became an idea for other countries like Indonesia as well. 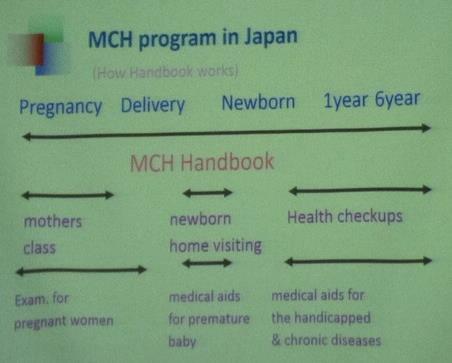 A simplified explanation of how the MCH handbook works. "The existing system shows the healthcare worker speaks and the patient listens." But the book can give them knowledge so the patient can understand what we're talking about, says Bhuiyan.